Blog Microsoft Azure How to Prepare for Microsoft Azure Exam AZ-302? How to Prepare for Microsoft Azure Exam AZ-302? Whenever we hear the name Microsoft, we associate it with the Operating System and its software legacy. But we often forget that there is no other over the world that has a massive software collection and services to deliver through the cloud. Microsoft has all the resources to dominate the cloud market and rule it. Microsoft is a household name and most organizations all over the world are already using the software products of Microsoft. As it’s a well-famed name, many companies are transitioning to Microsoft’s cloud for the potential growth. A recent report by the Cloud Industry Forum suggested that cloud adoption rate has gained new heights and it doesn’t look like it will slow down any time soon. Microsoft has launched a new role-based path for Microsoft Azure certifications. Let’s understand the learning path of new role-based Microsoft Azure Certifications. With Microsoft, the strong line of cloud services has seen rapid growth which has created a rising gap in cloud expertise. 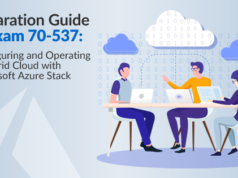 To cover that gap of technical skill set, Microsoft has designed streamlined pathways to build Azure skills and offer courses to match the experience and interest. Microsoft’s new role-based Azure certifications provide professionals with a straight learning path to choose the knowledge areas to achieve their certifications. With different roles available, the most important question is to choose between all these available certifications. For an architect who has the knowledge and expertise in designing, building, and deploying solutions on Azure platform and now looking for next big thing in their respective career can really go for the AZ-302 Microsoft Azure Solutions Architect Certification Transition. 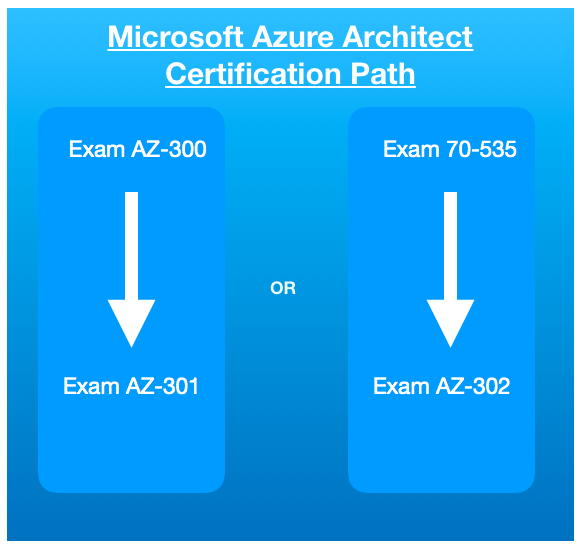 Note that the normal path for Azure Architect certification is to pass exam AZ-300 and exam AZ-301 respectively. But if you are the one who has already been certified with Exam 70-535, then you can validate your certification with the transition exam AZ-302. AZ-302 Microsoft Azure Solutions Architect Certification Transition was initially released on 24th September 2018. The primary focus of this exam is on Azure Architect role and responsibilities. This exam is available for a few months only and will retire on 31st March 2019. AZ-302 Microsoft Azure Solutions Architect Certification Transition is intended for those professionals who are already Azure Solution Architects and can work with the stakeholders to translate the business requirements into more secure, scalable, and reliable solutions. Professionals, who are intended to take this certification, should have advanced experience and knowledge across various strands of IT operations such as networking, disaster recovery, data management, virtualization, security, identity, business continuity, governance, and budgeting. This primary function of the Azure Architect role is to manage how the decisions taken in all areas affect the overall outcome of a solution. Professionals must be proficient and have expert level skills in at least one of the domains which are Azure administration, Azure development, and DevOps. This transition exam covers new content that was not present in the earlier 70-535 exam. This exam has all the aspects of technologies in depth that have changed since the last exam. As a result of that, this exam is not like other typical exams and time limit is not shorter. This transition exam also focuses on the knowledge and key skills which was not assessed in the existing exam, which is why it is being replaced. As the exam is new, the candidates may not know much about the exam pattern and its objectives. So, it becomes important to first go through the basic information of the AZ-302 exam before you start your preparation. Let’s have an overview of the AZ-302: Microsoft Azure Solutions Architect Certification Transition exam. Now, after going through the basic information about the exam it’s the time to understand the exam objectives that are covered in the AZ-302 exam. So, you need to focus on these objectives solely if you want to pass the AZ-302: Microsoft Azure Solutions Architect Certification Transition and become a certified Microsoft Azure Architect. Below is the list of the objectives you are needed to cover for this exam. Haven’t passed the 70-535 exam? Then you should follow the new path to become a certified Azure Architect, start with AZ-300 exam preparation. the ability to design solutions for Microsoft Azure. the capability to access an Azure account for testing, even a free account. AZ-302 Azure Solutions Architect Certification Transition exam questions are considered to be tough and hard to solve. However, you needn’t worry, as we are going to tell you the best path for the AZ-302 exam preparation. With the right assistance and right resource package, you will be capable to get the AZ-302 certification. The right combination of strategy with the right materials will help you in passing this certification with less struggle. The best way to start your AZ-302 exam preparation is through the books. It is more of a traditional way of preparing for any exam but still, it is effective. 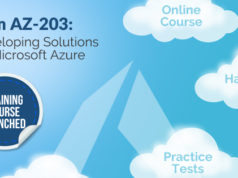 As there are not any good books available for the AZ-302 exam preparation, Microsoft Azure documentation is a tremendous resource to learn about all the services and features of the Azure. As all the books and other materials are just an extract of the official documentation, this will really provide depth to your AZ-302 exam preparation. For AZ-302 Azure Solutions Architect Transition exam preparation, you will find a number of good video tutorials and training courses. Some of them will be free and others will be paid one. These tutorials will cover each and every topic of the exam objectives. These tutorials will give you from basic to advance knowledge of all the topics. You can also go for instructor led-training where all of our doubts will be cleared by the instructor. Microsoft also offers certification training, you can also opt that. Practice exams are used for giving you real exam like environment. It also validates the content of your study resource and materials you have used for the preparations. Practice exams also help you to find your weak areas which are really needed to work on. Practicing with exam simulator gives you the upper hand as you do the practice in real-time exam scenario. These exams help you to memorize the study resource also. These practice questions are jotted by the experts of the field and help you to understand the concept and in which manner every question should be tackled. There are different practice exams available in the market which may be expensive but will provide a clearer concept and really be worthy of every penny you spend on it. Have your passed the Exam AZ-300? 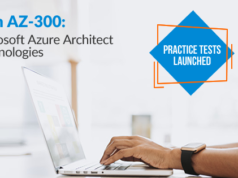 Get ahead and start your preparation for the exam AZ-301 to receive the badge of Azure Architect Expert. Nothing can teach you as much as the practical experience does. Being book-smart serves the motive in some places but there is no alternative for getting your hands dirty. The more you play with the Azure cloud the more you will learn and get habituated with the Azure platform. There is no boundation of time and place; you can practice anytime and anywhere as per your convenience. You can also generate self-assessment report at the end to track your progress on daily, weekly or monthly basis. Microsoft also provides a $200 free trial so you can spend it to get the full exposure of all Azure services and features. Forums and discussion groups are the best way to interact with the other professionals who are already taken the exam or preparing for this certification just like you. These forums provide the best platform for interacting with other professionals and they can hear each other experiences and learn from this. They can also post queries related to certification exam and it can be cleared by other professionals who already have passed the exam. For good preparation, use different study materials from different resources. Repetition of any topic will make your concept clearer and you will be able to hold it for a long time. All the topics covered in the exam should be read again and again until you have full confidence in each topic. You have full knowledge of exam scenarios and exam pattern in which exam will be taken. You should solve more practice questions, only then you will able to understand the time requirements for the AZ-302 exam. 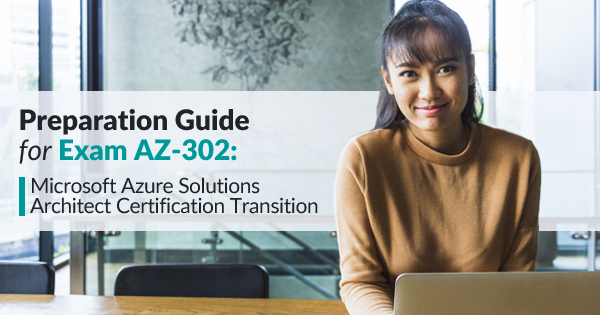 You should have a clear understanding of the topics you need to focus more on the AZ-302 Azure Solutions Architect Certification Transition exam. Don’t be afraid of failing, it will only make you better. Instead prepare well and be confident that you will pass the exam in the first attempt only. Play with the Azure portal as much as you can because the hands-on experience will give a clear knowledge of the Azure environment and will make you more confident. Have any queries regarding Azure AZ-301 exam? Write in Whizlabs Forum and get your queries resolved by the experts. Hope this study guide will help you in your AZ-302 exam preparation. It will make you familiar with all the important resources and help you in your preparation. All the above-mentioned resources, study materials, and tricks will really help you in your preparation. If you follow all these mentioned steps with 100% commitment, you will easily pass this AZ-302 certification exam. Hope this preparation guide really help you in your certification quest. If you are the one who hasn’t yet passed 70-535 exam, then choose the new track for Azure Architect certification and get ahead with AZ-300 exam preparation followed by the AZ-301 exam preparation. Good luck and Happy Studying!! Yes, Thank you for the update and it’s updated now.